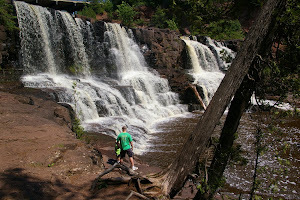 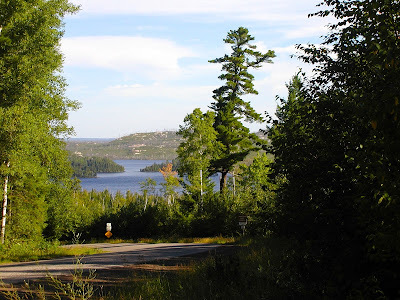 Driving north out of Grand Marais (Cook County, extreme Northeast Minnesota) on the Gunflint Trail (County Road 12) leads us to numerous noteworthy locations, but todays post focuses on the Saganaga Tonalite. In the late 1800s, as mines were being opened in the Gunflint Iron Formation near Gunflint Lake on the Canadian border, the trail was initially developed to lead from Lake Superior to the area. 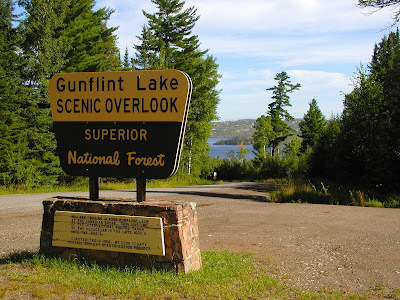 The Gunflint Trail is now a paved 57 mile road from Grand Marais (on Lake Superior) to Saganaga Lake which is in the Bounary Waters Canoe Area (BWCA). The Google Earth image below shows the relation or distance between Grand Marais and the Trail's End campground, part of the Superior National Forest. 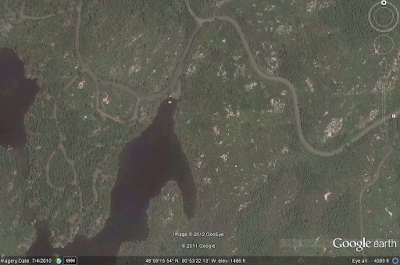 Next June, my boys and I will be camping at the Trail's End campgound, shown in the lower left of this Google Earth image. In the upper right of the image, outcrops of the light-colored, granitic Saganaga Tonalite can be seen. Driving north on the Gunflint Trail, the first exposure of the Saganaga Tonalite that can be seen is at the Laurentian Divide scenic overlook pull out. 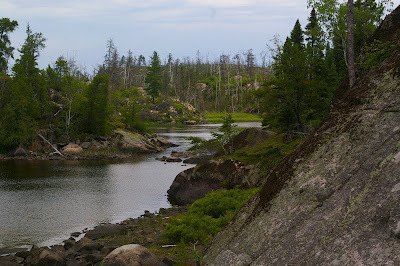 Water south of this point flows to Lake Superior and ultimately the Atlantic Ocean, water north of this point flows to the Hudson Bay. Looking north over Gunflint Lake from the divide are numerous light-colored outcrops of Saganaga Tonalite. 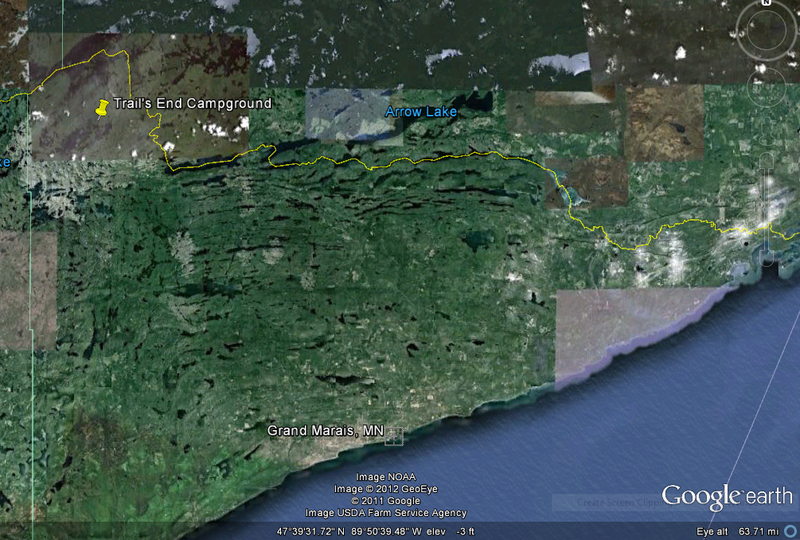 These outcrops are on the Canadian side of the border in Ontario. 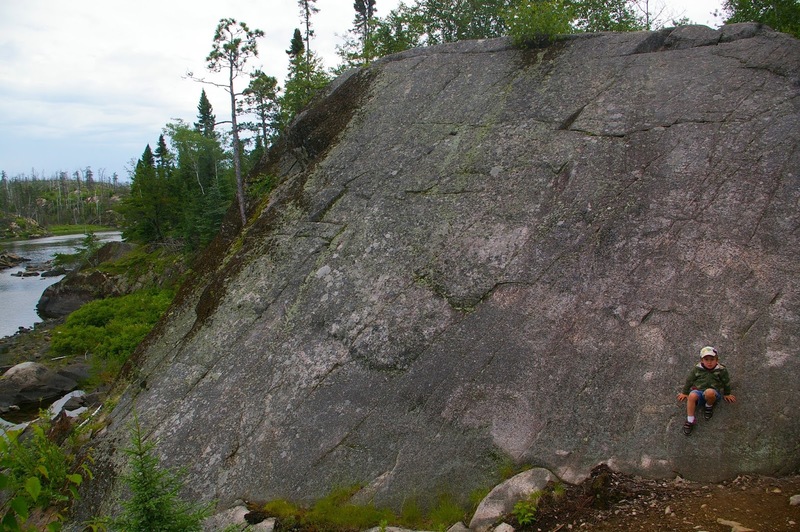 The Saganaga Tonalite is considered a quartz diorite due to it's mineral composition of quartz, plagioclase and horneblende. 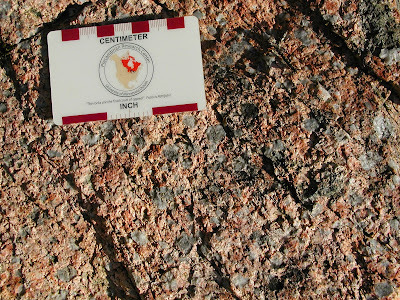 Because it is lacking potassium feldspar it is not considered a true granite. The Saganaga Tonalite is considered unique due to the large gray crystals of quartz. The tonalite has a radiometric age of 2,689 million years. 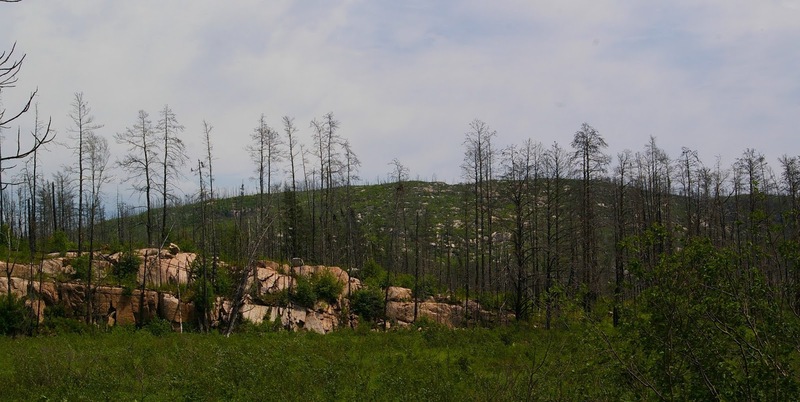 Because a wind storm (with wind speeds in excess of 90 mph) in the summer of 1999, resulted in a large area of trees being flattened, numerous exposures of the Saganaga Tonalite have become accessible in the Trail's End campground and surrounding BWCA. 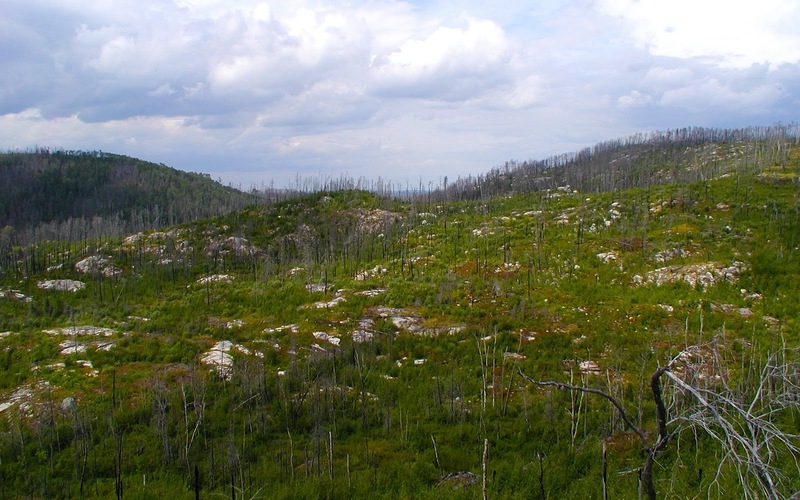 Fires, both controlled and wild, have also removed some of the vegetation allowing easy access to many outcrops.